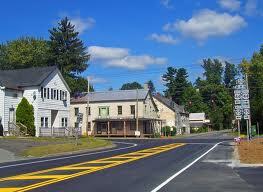 At the foothills of the Catskills, just south of New Paltz in Ulster County lies the town of Plattekill. This Mid-Hudson area is famous for its rolling hills and forests, and its outdoor activities include hunting, fly fishing,hiking, cross-country skiing and rock climbing. Climbers in particular are attracted to the area around Plattekill to take on rock climbing challenges along the Shawngunk Ridge. 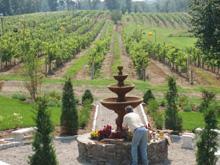 Located in the southern part of Ulster County, the town of Plattekill is comprised of five hamlets. While Ardona, Clintondale and New Hurley are best known as rural regions full of fields, forests and orchards, Modena and the hamlet also named Plattekill are convenient town centers with many businesses and services.Modena is considered the town center and has a library, the town hall and highway department offices. Plattekill may be rural in nature, but it’s situated in the middle if the region’s most vibrant towns. Poughkeepsie to the west is a thriving college town, the home of Marist and Vassar colleges, and the Culinary Institute of America just north in New Hyde Park. Poughkeepsie is full of interesting restaurants and shops, and features a recently developed riverfront shopping and dining district. To the south is Newburgh, with entertainment including a newly restored riverfront mall, Hudson River boat rides on the River Rose paddle wheeler and the Pride of the Hudson line of motor cruisers, museums, art fairs, historic buildings a symphony orchestra and galleries full of art and antiques. Nearby Cornwall also offers entertainment of all kinds, and the entire area is surrounded by orchards, vineyards and farms and their locally produced wares. West of Plattekill are the mountains and ridges that make up the foothills of the Catskills, which are so loved by rock climbers and hikers.The area is a wealth of natural beauty and outdoor activities. Plattekill is a jewel in the middle of a crown of sparkling towns and attractions, in a delightfully rural setting. Commuting to and from Plattekill, NY is made easy because the town is located adjacent NY Interstate 84 to New York or Albany, and within easy reach of the Newburgh Beacon Bridge to the east. Nearby Newburg also has Stewart International Airport, an active commercial hub of four major air carriers.